In partnership with Marvel TV, Legion sees Fox bring their live-action X-Men franchise to the small screen. 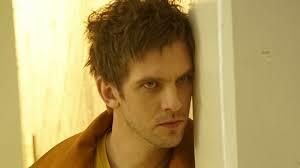 Developed by Fargo series creator Noah Hawley, Legion is based upon the Marvel Comics character David Haller, created by Chris Claremont and Bill Sienkiewicz who first appeared in New Mutants #25 (published in 1985). Dan Stevens (Downton Abbey) plays Haller, a mental patient who throughout his life has been plagued by voices that he is starting to believe are real and has drawn the attention of the mysterious Brubaker (David Selby) and his interrogator (Hamish Linklater), who are interested in Haller’s telekinetic abilities and his potential as the most powerful mutant ever discovered. From the outset it’s obvious that Legion is far less comic-y than its big screen brethren favouring a more restrained, less colourful and more cerebral approach reminiscent of a Netflix or HBO production. Whilst fans of the X-Men comics universe may find that an initial disappointment, what unfolds in this series premiere is too compelling to ultimately ignore. Via a series of flashbacks we learn of David’s increasingly tortured mental state from innocent childhood to teenage delinquency and his current plight as a resident of Clockwork Psychiatric Hospital where he is teased by the presence of people who may or may not be real, including his inseparable ‘pal’ Lenny (a suitably sardonic Aubrey Plaza). Events become all the more unreal as David ‘meets’ Syd (Rachel Keller), a newly admitted patient that he quickly becomes captivated by. To say much more would spoil things, but it’s this meeting that forms the basis of David’s present situation as he grapples with a loosening grip on ‘reality’. As Haller, Stevens is magnetic with a melancholic, at times manic, performance that he deftly mixes with prominent shades of agitation, frustration and bewilderment intertwined with smatterings of black humour. The supporting cast are all perfectly able in their roles but it’s Stevens that carries much of the proceedings as we’re left perplexed by the hallucinatory visualisation of this unusual story. Written and directed by Hawley, “Chapter 1” is a predominately trippy experience that leaves the viewer in a similar predicament to the show’s central character, primarily in a state of almost maddening confusion, yet manages to leave you intrigued and hanging on for what’s next. Hawley skilfully depicts the bizarre imaginings of his script, the interesting use of lighting, colour, camera angles, editing and digital effects (not to mention some rather spacey music cues by Jeff Russo) stringing together the non-linear construction of the narrative. Whether future epsidoes will maintain this approach, to such a degree as it is here – and succeed – remains to be seen but it certainly proves effective for this series opener. Legion comes off as a creative collision that feels something like One Flew Over the Cuckoo’s Nest meets Being John Malkovich via Inception but ultimately is a strange brew that forms its own personality. In fact, part of Legion’s unusual appeal is that its setting is at times vague, it’s apparently present day but some of the costumes and decor resemble a period closer to the sixties – a neat visual homage to the times of the original X-Men comics, maybe? Despite the show being unconnected to Fox’s X-Men films and somewhat distanced from the Marvel comic books, “Chapter 1” still offers solid hints at the core elements of X-Men mythology as it touches on the themes of prejudice and fear of the unknown that stretches back to the stories created by Stan Lee and Jack Kirby in the early 1960s. Given David Haller’s connection to a certain wheelchair-bound mutant Professor in the X-Men comics universe it wouldn’t be unwelcome to see more ties into the overall mythology, whether subtle or not. If there’s any real drawback to Legion it’s that it’s lack of lucidity can be challenging but perhaps that’s part of the plan, to lure us in and become invested in a series that could prove to be unique and addictively entertaining? The bottom line: Legion debuts with a complex, chaotic, weird and – in moments – quite funny premiere for a superhero based series that could prove a refreshing addition to an ever popular and increasingly exploited genre. Legion airs in the UK Thursday evenings on Fox. U.S. viewers can catch it Wednesdays on FX. Insane or not? Dan Stevens is David Haller in Fox’s ‘Legion’, based on the Marvel Comics character. What did you think of the Legion season premiere? Share your thoughts below! ‘Star Trek: Discovery’ Enters Production! Video linked from YouTube via the JoBlo TV Show Trailers channel. The sixth live-action Star Trek television series, Discovery was originally set to debut this May but with the departure of showrunner Bryan Fuller and casting announcements to be completed, CBS has wisely postponed the launch date indefinitely until all the pieces are fully in place and to ensure the series can ultimately live up to both its potential and the anticipation of millions of devoted fans the world over. 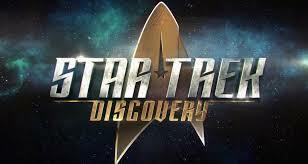 At this point little is known about the overall concept of Star Trek: Discovery bar that it will take place in the ‘Prime’ Star Trek universe (and therefore not connected to the current big screen alt-universe established by J.J. Abrams’ Star Trek) around ten years prior to the original Star Trek television series and will focus on the crew of the U.S.S. Discovery, principally the as-yet-unnamed Lieutenant-Commander to be played by The Walking Dead’s Sonequa Martin-Green . Joining Martin-Green are Doug Jones (Hellboy, Falling Skies) as Science Office Lieutenant Saru – a member of an alien race that will be new to the franchise – along with Anthony Rapp as Lt. Stamets, the first openly gay regular character for a Star Trek series and Gotham’s James Frain as Sarek, the very same Vulcan ambassador and father of Spock played in the original Star Trek series and films by Mark Lenard. Michelle Yeoh (Crouching Tiger, Hidden Dragon) will also feature as Captain Georgiou who will command another Starfleet vessel, the Shenzhou together with three Klingon characters to be played by Mary Chieffo, Shazad Latif and Chris Obi. Despite his departure from the series, Bryan Fuller (who has history with the franchise, having launched his career on Star Trek: Deep Space Nine before serving as a writer/producer on Star Trek: Voyager) had already mapped out the serialised storyline of the show’s first thirteen-episode season as well as having written the opening two-parter and will retain a credit as executive producer. Showrunner duties will now be handled by Gretchen Berg and Aaron Harberts with Eugene Roddenberry (son of Star Trek creator Gene Roddenberry) on board as an executive producer and Nicholas Meyer, director of feature films Star Trek II: The Wrath of Khan and Star Trek VI: The Undiscovered Country (also serving as co-writer on the latter as well as on Star Trek IV: The Voyage Home) in place as a writer and consulting producer. Co-created with Alex Kurtzman, co-producer/co-writer of the J.J. Abrams directed Star Trek and its sequel Star Trek Into Darkness, Star Trek: Discovery will launch in the U.S. later this year via streaming service CBS All Access (with the premiere episode airing on network television) and will be available worldwide via Netflix. CBS prepare to launch ‘Star Trek: Discovery’, the first ‘Star Trek’ television series since the end of ‘Star Trek: Enterprise’ in 2005. Are you excited about Star Trek’s return to television? Share your thoughts below!